In the Western World, we often embark on our yoga journey in search of a physical practice. However, traditionally in the East where Yoga originated, the physical postures (known as Asanas) are only one part of the eight limbs of yoga. To discuss the eight limbs at this point would take more space than this blog can handle, so let’s draw our attention back to the matter at hand. Yoga is for every body. Note the division between the words there. Each human being is unique and individual, and to assume our bodies can all achieve the same thing is nothing short of madness. The beauty of yoga is that, by its very nature, it is not competitive. There are no expectations in a yoga class and the journey you take during your practice is entirely your own. Now you may be thinking that this may be easier said than done, when you see the gorgeous, stick thin gymnast on the mat next to you hitting every pose like they’ve just levitated here from an Ashram hidden in the depths of an ancient spiritual forest somewhere in India. 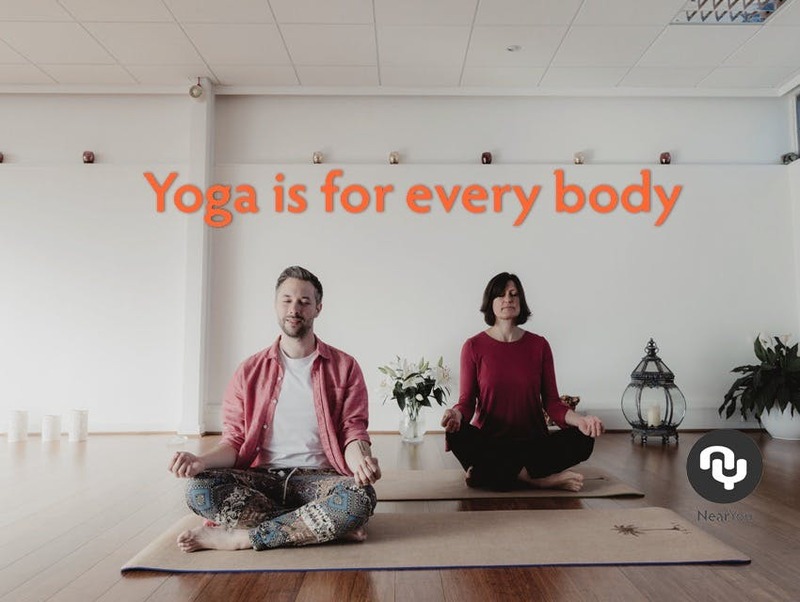 The majority of people who come to yoga classes in the UK are just like you and I.
They’re looking for a way to improve their health or wellbeing, to get a few stretches in and maybe relax a little. They probably can’t even touch their toes! So long as you find yourself a good quality yoga teacher who studied with a reputable yoga school, they should welcome you into one of their classes no matter your ability, and if they can’t, they should most certainly be able to point you towards someone or somewhere that can assist you in taking your first steps as a yogi. The LV Yoga and Yoga Junkie Studio wholeheartedly believe that they can all share the light of yoga with anyone who reaches out to us. LV Yoga offer beginners yoga courses, restorative yoga, classic Hatha yoga, living yoga, family yoga and teen yoga in Fareham. They also offer private sessions by request. They welcome children with additional needs and we even have a ‘Get Mobile’ class for those with limited mobility. They also offer private sessions by request. Remember, yoga is a personal journey, and it is so much more than a physical practice. Where your journey begins may simply be just a one hour class every Monday evening, but where your journey will take you will be so much more than this. So to anyone who thinks that yoga isn’t for them, book a class with LV Yoga and Yoga Junkie studio in Fareham, Hampshire.